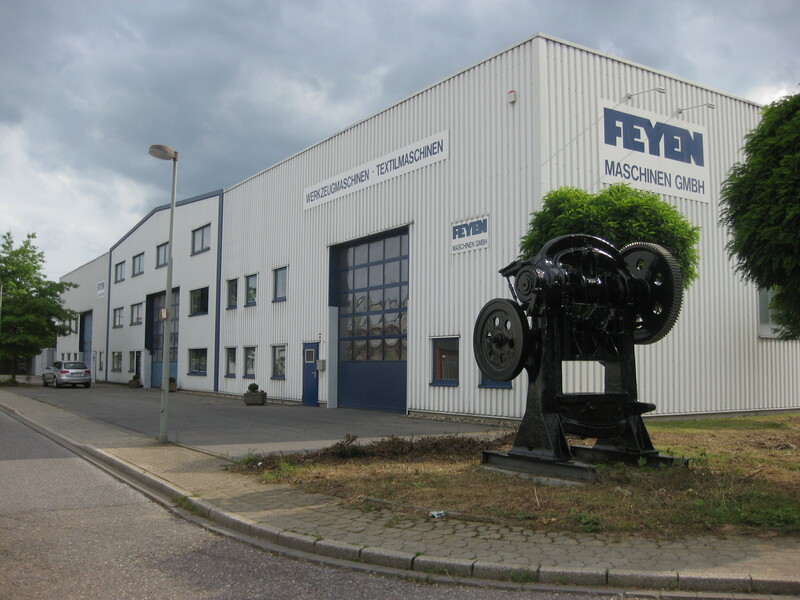 The company FEYEN Maschinen GmbH deals in new and second-hand machine tools, textile machines and industrial goods. We are specialized in machine tools for metal-cutting and non-cutting metal processing as well as textile machines for finishing of woven and knitted fabrics. Here you can find machines for the finishing and refining process of woven and knitted fabrics. We also design special and individual machines for these purposes according to customer’s specification in our dedicated machinery construction plant. Refurbishing and modernization of second-hand machines and plants as well as disassembly and re-assembly are in our range of services, too. We have 3 modern warehouses with a storage space of totally 3 700 m² with a crane capacity of 10 tons and 2 x 16 tons. Approx. 400 modern machines are directly available from stock or at location. We would really appreciate your visit. Our warehouse is open daily from Monday to Friday at 8.00 a.m. until 6.00 p. m., and Saturdays on appointment. DECKEL-MAHO, GILDEMEISTER, HELLER, STARRAG, HERMLE, MIKRON, HEYLIGENSTAEDT, WFL, MAKINO, MAZAK, WEILER, HÜLLER-HILLE, SORALUCE, SCHAUDT, FORTUNA, EMAG, VDF, BOEHRINGER, ZAYER, UNION, WMW, LVD, KASTO, BEHRINGER, TOS, etc.